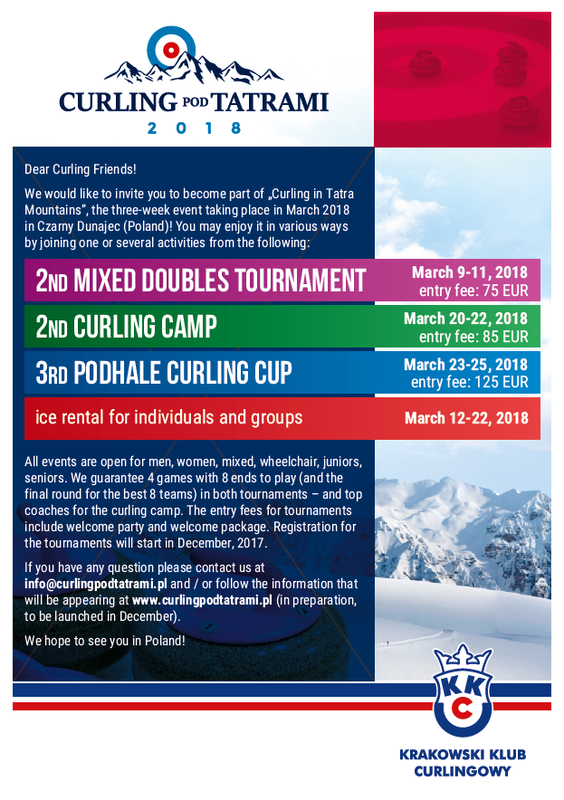 For the third time, you will have a possibility to compete for the Podhale Curling Cup in Czarny Dunajec. We guarantee four games with 8-ends to play (and the final round for the best 8 teams). There are 24 places waiting for players from all over the World. The entry fee is 500 PLN or 125 EUR per team (with Saturday meeting and a small welcome package included). If you have any question please contact us at info [at] curlingpodtatrami.pl and / or follow the information that will be appearing at www.curlingpodtatrami.pl.